Many of the world's most magnificent and most exciting sailing yachts available for charter in addition to private use. Dealing with these amazing yachts requires great skill and knowledge and some experience in the local waters, so most yachts with crew crew Skipper and Hostess boatman offered and chartered. 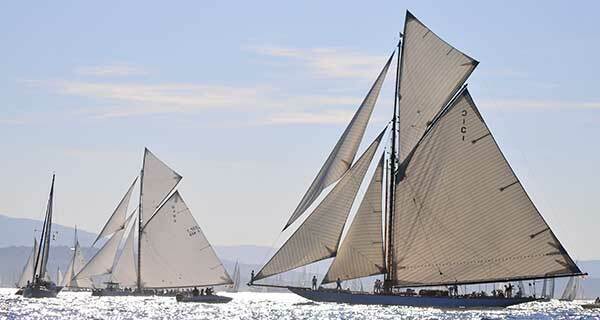 Classic sailing yacht - Historic sailing ship vintage yacht - luxury yacht charter in beautiful sailing areas. Sailing yacht for regattas in the Mediterranean, Caribbean, Baltic Sea, North Sea and Atlantic Ocean as ARC Atlantic Rally for Cruisers from World Cruising Club. Sailing and location for Meetings, Events Festivals Teambuilding charter. Sailingyacht charter on almost every ocean. The most popular charter grounds for the western Mediterranean, usually starting from the famous French Riviera ports such as Cannes, Antibes, St Jean Cap Ferrat, St Tropez or Monaco yachts available for charter for disposal. Corsica and Sardinia are very popular for sailing grounds, as well as the Italian Riviera. Naples, Capri and the island of Sicily, are also popular. In the west, you have the Spanish destinations including Barcelona, ​​the Balearic Islands of Mallorca and Ibiza and the Costa del Sol. The Greek Islands are a not offending blend of beauty, history, culture, food and rest.